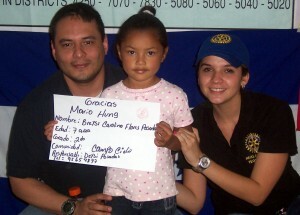 Honduran Rotarians Mario & Maria with one of the children they sponsor. Sponsoring a school child is one of the most fulfilling ways you can contribute to the lives of Honduran children. Your sponsorship will pay for basic school expenses such as uniforms, shoes, books, and school supplies, without which children cannot attend the otherwise free public schools in Honduras. As a sponsor, you will receive a receipt for tax purposes, a certificate of sponsorship, and a photograph of the child you are sponsoring. Some sponsored children write occasional letters to their sponsors. HELP Honduras collects funds from sponsors and provides school supplies. 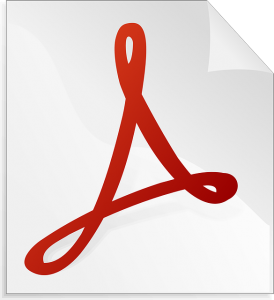 Student progress is monitored and tutors provided when needed. The pass rates of our sponsored students are 98%. The cost to sponsor children in the Markets of Tegucigalpa, Honduras are as follows. If you have sponsored a student/s in the past, your funds will be used to sponsor the same student/s with the same honourees, when possible. However, due to the success of the Rotary sponsored Economic Opportunity Training program, the parents of the child you have been sponsoring may now not require your support. Also, some of the previously supported students leave the AyO community every year; If your student was one of these, we will choose a new student for you to support. See more at our Markets of Tegucigalpa project page. If you wish to direct your funds to Santa Barbara, please select this impact area when making your donation. The rate to sponsor a Secondary Student in Santa Barbara is $250 per year. See more at our Santa Barbara project page. Please consider an additional donation of $30, $50, $100, or the amount of your choosing to assist with mentoring, medical supplies and health educators. Simply increase the total of your donation for sponsoring students. If you have a message or instructions for us about your donation, please send us an email to donations@helphonduras.ca. You can donate on-line by pressing the “Donate Now” button. All on-line transactions are processed in Canadian dollars. To pay by cheque or e-transfer, download the appropriate donation form below (US or Canadian) and follow the instructions for your chosen method of payment. If you are from the US and paying by cheque, the US donation form shows rates in US currency.